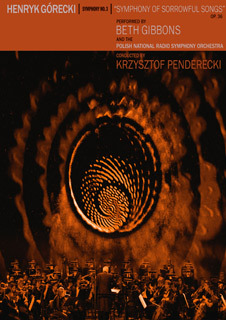 The performance took place at The National Opera Grand Theatre in Warsaw on November 29th 2014, and was part of an evening of programming that also featured Jonny Greenwood’s (Radiohead) 48 Responses To Polymorphia and the world premiere of Bryce Dessner’s (The National) Réponse Lutosawski. Following an invitation to collaborate at the concert, Beth Gibbons undertook an intense preparation process, including tackling the challenge of learning the original text (and the emotional weight it carries) without speaking the mother language. Typical to Beth though – the elusive yet iconic frontwoman of one of the most important British bands of the last two decades, Portishead – the challenge was met and exceeded. Her performance alongside the maestro Penderecki has been hailed as triumphant, as you can see on this concert film.